To wake up in Cancun is to open your eyes knowing that a new adventure in the Caribbean is about to begin, and that this tropical paradise is yours to spend the time of your life. 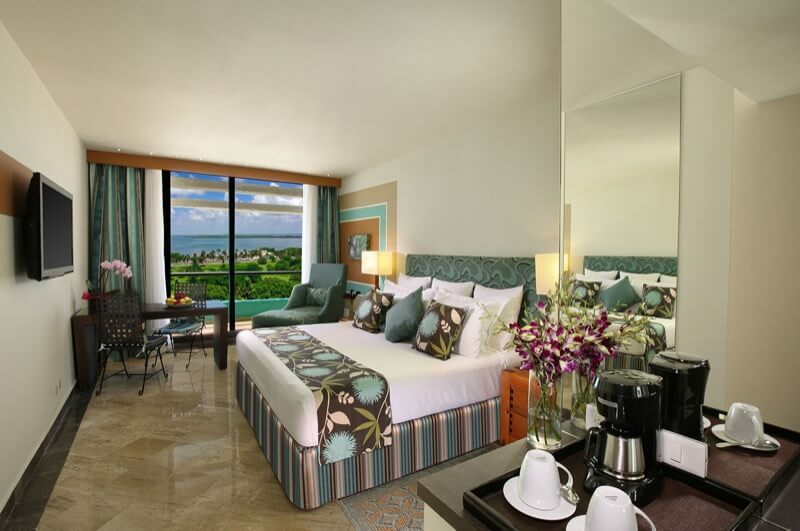 A good rest is the beginning of a wonderful day, that's why our rooms are true relaxation sanctuaries. Equipped with everything you need, these spaces are beautifully furnished and ornamented with exquisite details that will delight your senses. 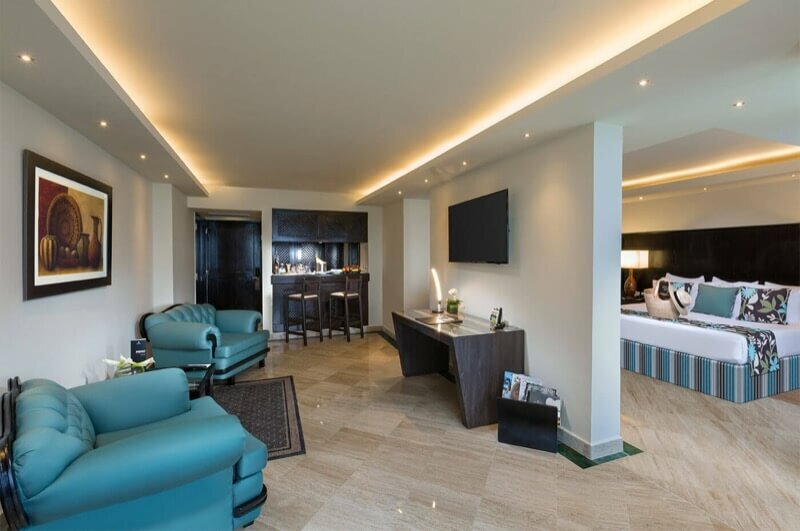 With spacious areas and options for couples or families, you'll find comfortable king size or double beds, air conditioning, flat screen TV, robes and slippers, coffee maker, pillows menu, etc. Open the window, amaze yourself with the scenery's dreamlike colors, take a deep breath and fill your lungs with the fresh morning air. What else do you need? 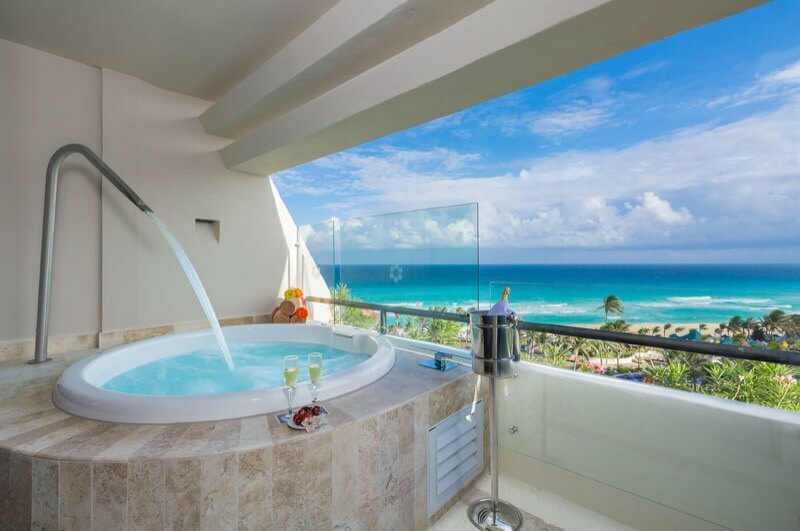 Just get in touch with your friendly concierge who will be glad to help you at all times. 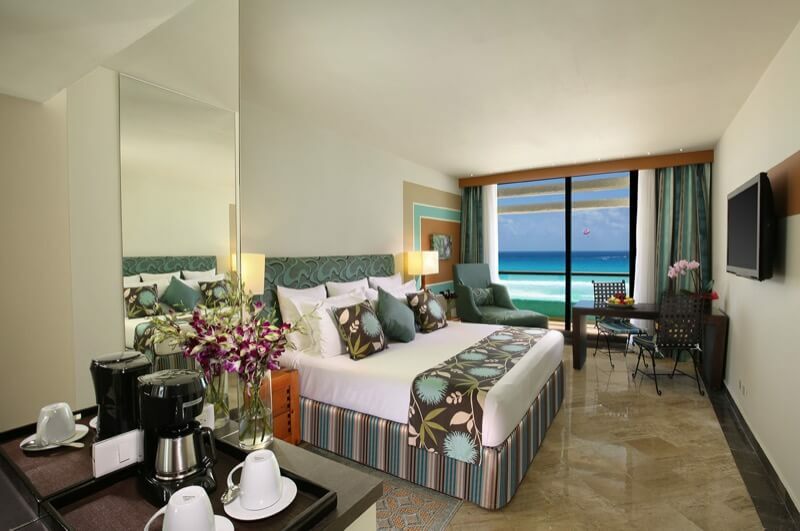 Find the kind of room that better suits your requirements and let your all-inclusive stay in Cancun be a time to remember forever. 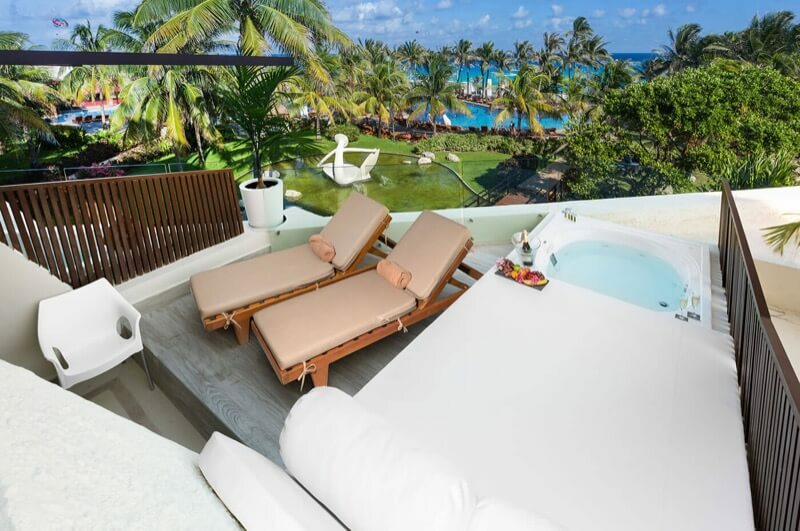 Feel the gentle Caribbean breeze on your skin, taste your favorite drink in the Jacuzzi of your private terrace and delight yourself with this paradise's colors. The Master Suite is elegant and sophisticated, but at the same time, it is comfortable and pleasant; it'll be your second home. 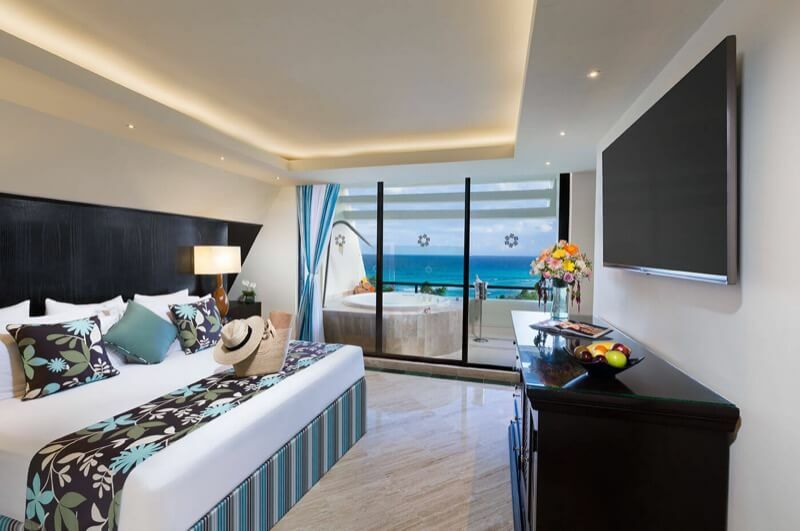 Experience luxury in a spacious and comfortable room with ocean or sunset view, relax with style in its cozy beds with pillows menu; you'll find that the possibilities are unlimited, once you enjoy a delicious breakfast in the privacy of your room terrace. 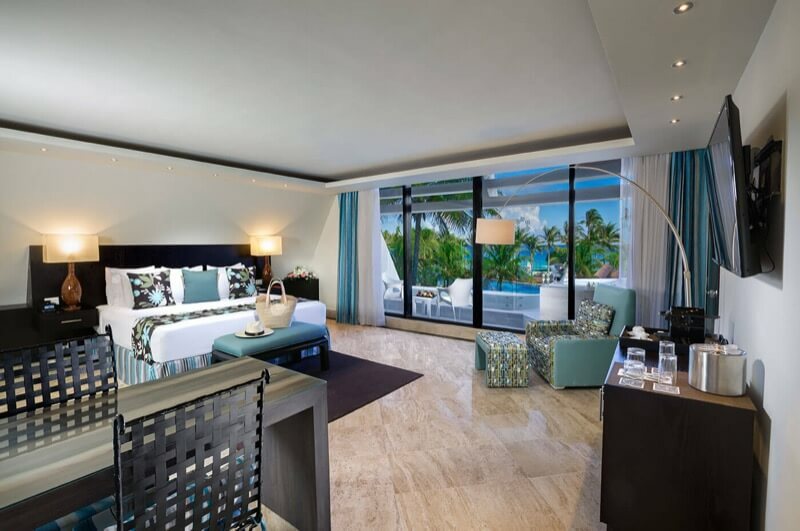 In these rooms you'll enjoy a spectacular view of the Caribbean Sea and its turquoise shades. Its decoration is soothing and show beautiful classy details and the lifestyle you're looking for, in addition to every amenity you may require. 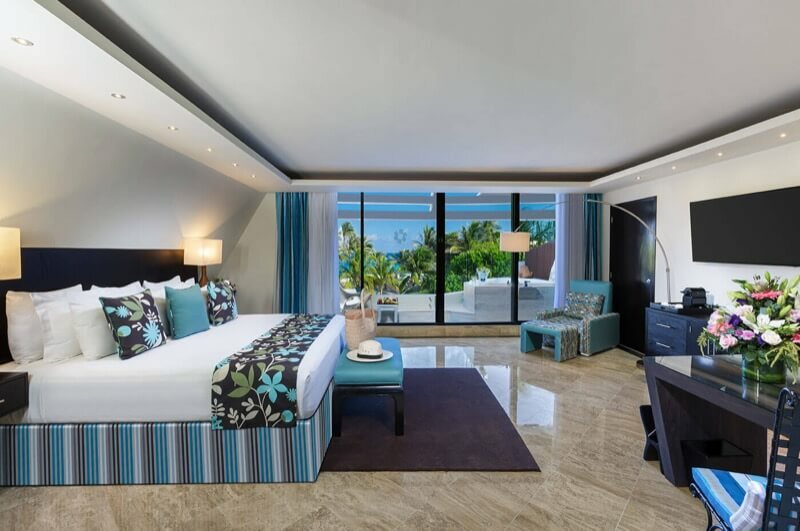 With a unique comfort, and framed by the beautiful setting of the Nichupté Lagoon, in these bedrooms you'll be able to enjoy breathtaking sunsets; moreover, they're fully equipped to provide you with an incredible stay.